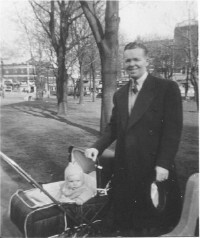 My father Edgar Morrissey, the youngest son of Martin Morrissey and Edith Sweeney, was born on 11 March 1912 in Montreal and christened at St. Thomas Aquinas Church. He attended St. Leo's Academy in Montreal and began working at the Canadian Pacific Railroad in March 1930, as a stenographer in the department of immigration and colonization in Montreal. In 1937 he was transferred to the office of the Vice-President and in 1939 became a secretary in that department. In 1942, he became secretary to the Chairman and President; his office at Windsor Station overlooked present-day Peel Street. In 1946 he was appointed chief clerk to D.C. Coleman, Chairman and President. 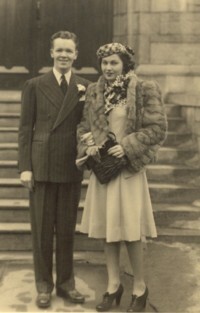 In 1940 Edgar Morrissey and Hilda Parker were married at Trinity Memorial Anglican Church on Sherbrooke Street West near Decarie Boulevard in Montreal. Their first residence was at apartment number four, 5515 Avonmore in N.D.G. 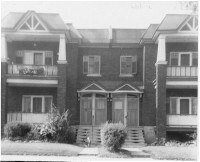 From around 1951 to 1954, due to my father's poor health, the family lived with my grandmother Edith Sweeney at 2226 Girouard Avenue. In addition to my parents, my brother John and I, there was also my grandmother and my father's older sister, Mable, living at Girouard during those years. From 1954 to 1963 we lived at 4614 Oxford Avenue. My father died in 1956 and my mother remarried in 1962, to Graham Nichols. 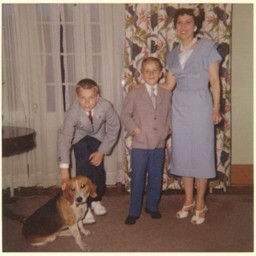 We then moved to 4350 Montclair Avenue in western N.D.G., where my mother still lives. My father loved music, especially Glenn Miller and other jazz bands popular in the 1930s and 1940s. He played several musical instruments, guitar, bass, and banjo, and played in his brother Herb Morrissey's band. He was still employed by the C.P.R. when he died on 16 November 1956 at Peter Bent Brigham Hospital in Boston. Died: 16 Nov 1956, Boston, Mass. Born: February 1977 in Ottawa, Ontario. Born: April 1980 in Ottawa, Ontario. Hilda Parker was born on Irene Avenue in St. Henry on 1 March 1916. Her parents were John Richards Parker (born 27 March 1887, 76 Woodbine Road, Blackburn, Lancashire, England; died 1965, Montreal) and Bertha Chew (born 14 September 1883, Blackburn, Lancashire, England; died 1957, Montreal). They immigrated to Montreal after first living for several years in New York City. Bertha was born at 41 Saint Paul Street in Blackburn. John Richards Parker was twenty when he married Bertha Chew. He was employed at the time as a brewer's labourer and they lived at 6 Burlington Street in Blackburn, Lancashire, England. 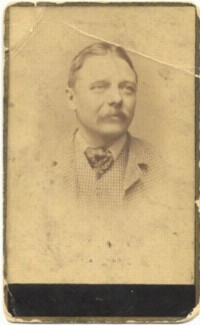 His father John Parker, was deceased when his son married. 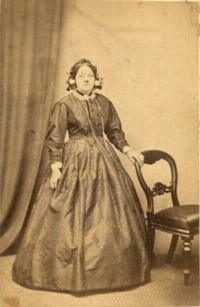 Bertha Chew was twenty-four years old and employed as a cotton weaver; she was the daughter of the late Thomas Chew. They married on 18 April 1908 at the Tabernacle '(particular Baptists)' Church on Montague Street, in Blackburn. In 1909, John R. Parker emigrated to New York City where he lived with his paternal uncle William Parker, an employee at the Brooklyn Zoo. He worked driving a streetcar in New York City and his wife Bertha joined him there in 1910. 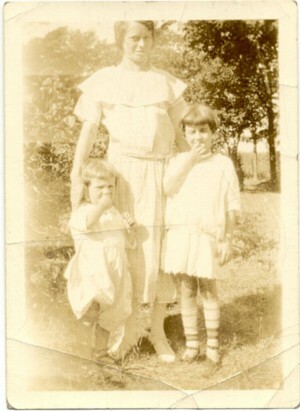 Bertha Chew Parker and her two children, John on left and Hilda on right, photo taken around 1923. 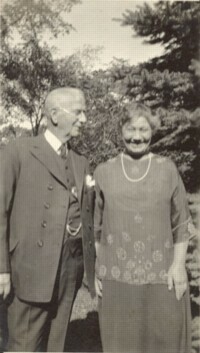 Around 1912 John Parker and Bertha Chew moved to Montreal. Soon after they were joined by John Parker's mother Bessie Richards and his three brothers, William, Herbert, and Victor. John and Bertha's first son, William, was born around 1913 but died around age two or three years. Their daughter Hilda was born in 1916 and a son, John Leslie Parker, was born in 1920. 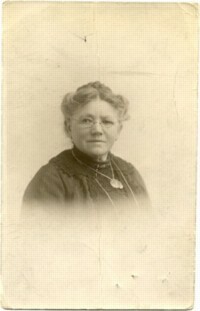 Several of Bertha Chew's siblings also moved to Canada around 1920, as well as at least one of Bessie Richard's sisters. Siblings: Bessie Richards had seven sisters, one of whom was Bella Richards Brocklebank who moved to Welland, Ontario and had a daughter named Poppy Brocklebank. 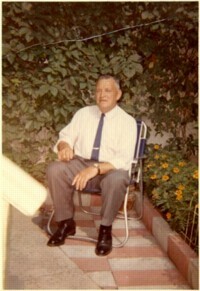 John Richards Parker, in his Hampton Avenue backyard, mid-1960s. Thomas Chew, husband of Jane Gardner Chew, Blackburn, England; late 1800s. Note: In the early 1920s, the family moved to Woodstock, Ontario. Born: date unknown, in Blackburn, England. Note: He worked as a building contractor in Blackburn, England. Married: wife's name not known. Note: He lived in Ottawa, Ontario. Died: probably in 1957, Montreal.